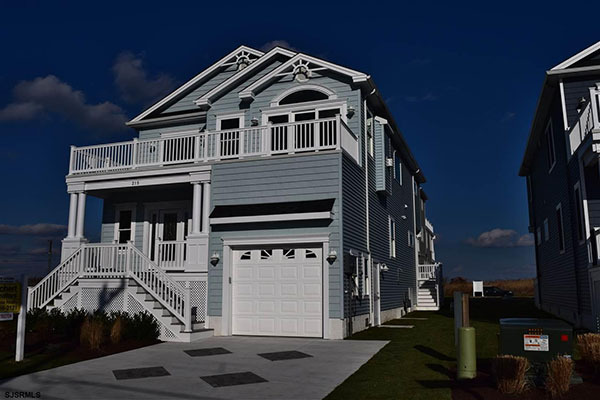 NEW CONSTRUCTION – New Beach Block Home with Ocean Views BY WOERNER CUSTOM BUILDERS. This Beautiful Home will Feature 5 Bedrooms and 4 Custom Baths, Showcasing Reverse Living w/ Sprawling Open Floor Plan and Elevator. 1st Floor – 2 Bedrooms, 1 Bath, Bonus Room and Large Garage. 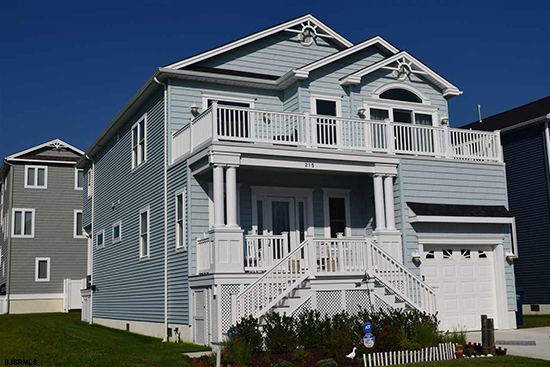 2nd Floor – Master Bedroom with Master Bath, Spa Shower and Large Front Deck. Jr. Master Offers a Private Bath. 3rd Floor – Gourmet Granite Kitchen w/ Exclusive GE Cafe SS Appliances, Hardwood Flooring, Dining Room, Living Room with Gas Fireplace and Sliders to Expansive Front Deck. Bedroom w// Full Bath. Perfection Coupled with Luxury at the Beach! A-Zone Spectacular with IN-GROUND POOL BY WOERNER CUSTOM BUILDERS – SPACIOUS 2 – Story Home features 4 Bed, 3.5 Baths with Open Reverse living Floor Plan. 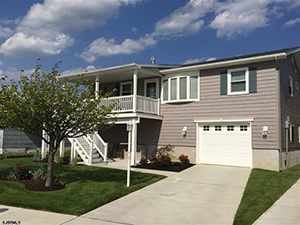 1st Floor – 3 BR, 2 Full Baths, Family Room with wet bar, Rear deck with stairway down to large paver patio and IN-GROUND POOL 2nd FLOOR – Gourmet Kitchen W/GE Cafe SS Appliances, center island w/seating. Dining Room, Living Room w/Sliders to large front Deck. Master Suite w/large master bath and huge walk-in closet. Don’t miss this opportunity to own a Woerner Home! 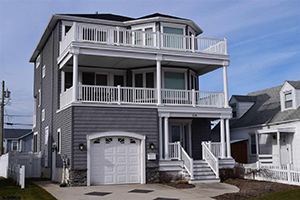 Spacious 2 story BEACH BLOCK home. Just steps to the beach. This home features 4 bedrooms, 3 and 1/2 baths with open reverse living floor plan. 1st Floor offers 3 bedrooms, family room with wet bar also a large rear deck. 2nd floor shows beautifully with gourmet kitchen with GE café Stainless Steel appliances. Large dining room, living room with fireplace along with sliders leading to a grand deck for outside enjoyment. Master suite includes walk-in closet as well as a large master bath with spa shower. To be built & designed to perfection by WOERNER CUSTOM BUILDERS. Taxes to be determined. Spacious 2 story home 1 block to the beach. This home features 4 bedrooms, 3 1/2 baths with open reverse living floor plan. 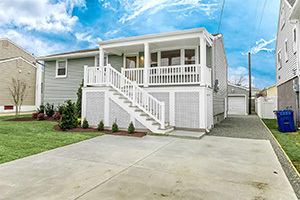 1st Floor offers 3 bedrooms, family room with wet bar & a large rear deck. 2nd floor shows beautifully with gourmet kitchen featuring W/GE cafe, Stainless Steel appliances. Large dining room, living room with fireplace along with sliders leading to a grand deck for outside enjoyment. Master suite includes walk-in closet as well as a large master bath with spa shower. 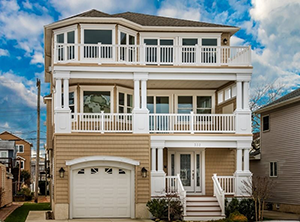 Built and designed to perfection BY WOERNER CUSTOM BUILDERS. 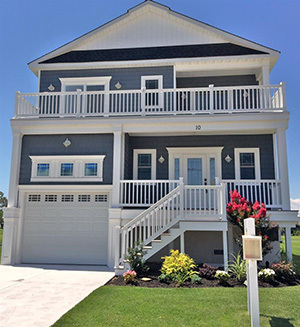 NEW CONSTRUCTION – New Beach Block Home with Ocean Views BY WOERNER CUSTOM BUILDERS This Beautiful Home will feature 6 Bedrooms, 3.5 Baths with Reverse Living, Open Floor Plan, and Elevator. 1st Floor- 2 Bedrooms, Bonus room and large garage 2nd Floor- 3 Bedrooms, 2 Full Baths, Den with Wet Bar & Large Front Deck. 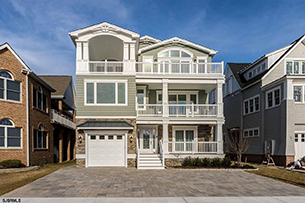 3rd Floor-Gourmet Granite Kitchen w/ GE Cafe SS Appliances, hardwood flooring, D/R, L/R with FIREPLACE & Sliders to a Large Front Deck, Master BR / Large Master Bath with Spa Shower, Powder Room. 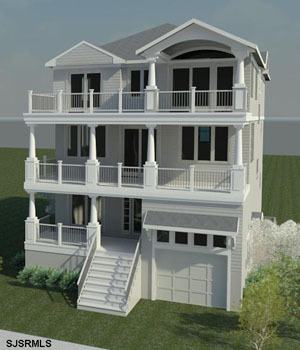 New Construction BY WOERNER CUSTOM BUILDERS – Spacious 2 story home close to the beach. This home features 4 bedrooms, 2 and 1/2 baths with open reverse living floor plan. 1st Floor offers 3 bedrooms, family room with wet bar also a large rear deck. 2nd floor shows beautifully with gourmet kitchen W/GE cafe, Stainless Steel appliances. Large dining room, living room with fireplace along with sliders leading to a grand deck for outside…. 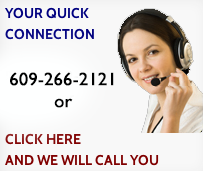 New Home Construction – 8 Lagoon Blvd. 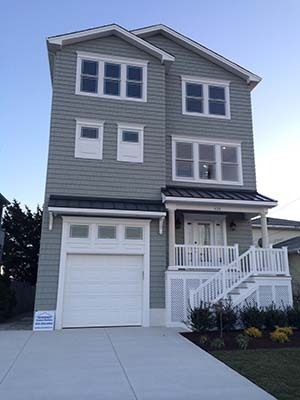 New Construction BY WOERNER CUSTOM BUILDERS – Spacious 2 story home close to the beach. This home features 4 bedrooms, 3 and 1/2 baths with open reverse living floor plan. 1st Floor offers 3 bedrooms, family room with wet bar also a large rear deck. 2nd floor shows beautifully with gourmet kitchen W/GE cafe, Stainless Steel appliances. Large dining room, living room with fireplace along with sliders leading to a grand deck for outside…. 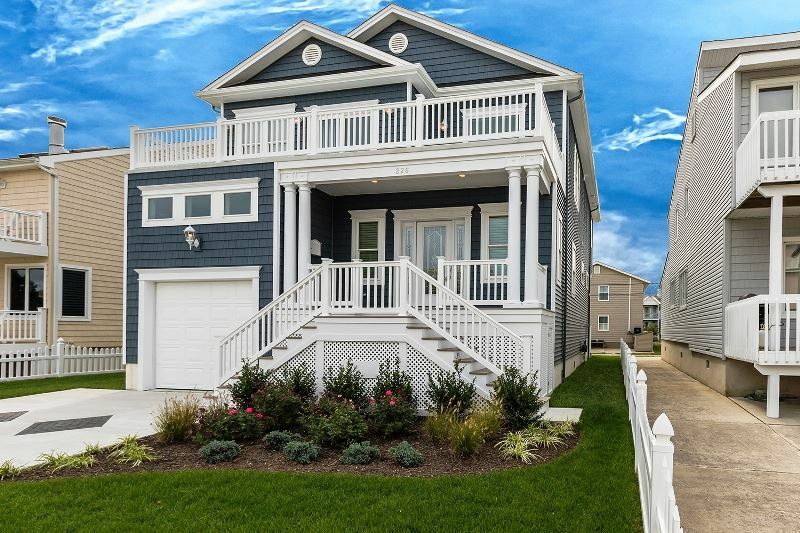 Beach Block Spectacular BY WOERNER CUSTOM BUILDERS – SPACIOUS 2-Story Home features 4 Bed, 2.5 Baths with Open, Reverse living Floor Plan. 1st Floor – 3 BR, Family Room with wet bar. Large Rear Deck on first floor. 2nd FLOOR – Gourmet Kitchen W/GE Cafe SS Appliances. Dining Room, Family Room /Sliders to a Large Front Deck, Master suite w/ large master bath and huge walk-in closet! 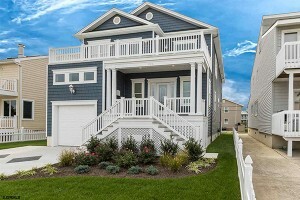 Walk to the ocean, sea wall & Brigantine’s Wild Life Observatory…Island living at its finest..Live at Brigantine Point!! Buy This ONE OF A KIND Home, 6 Bedrooms, 5 Full Baths,Over 5500 Sq. 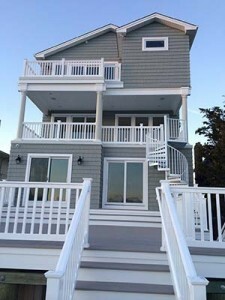 Ft., Spectacular Ocean Views!!! 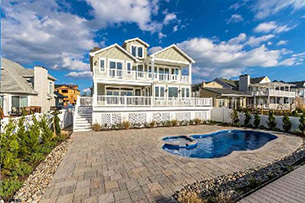 Quality Built by Brigantine’s Premier Builder” Gary Woerner” of WOERNER CUSTOM BUILDERS, With over 25 years Experience. Don’t Wait ! 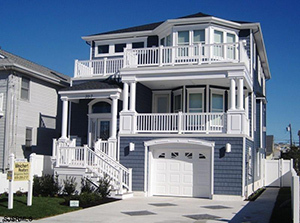 For the opportunity to Live on the Ocean, Just 50 steps to the Beach. Home is now completed and ready for pre-viewing. Click Here to see other New Homes we SOLD! !